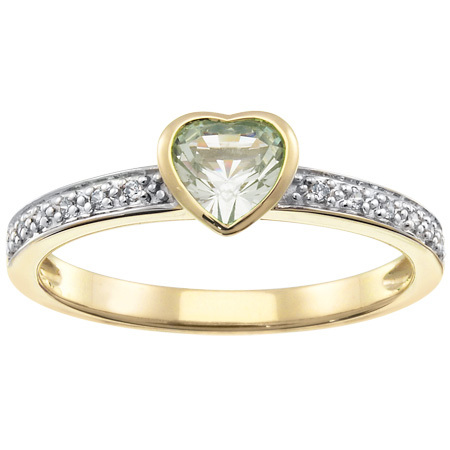 The 10kt yellow gold heart stacking ring is set with a 5mm heart shaped gemstone and 12 x .5pt cubic zirconia accent stones. The ring is 2.5mm at the top and tapers to 2.2mm. This style is available in whole and half finger sizes, 4-10. Standard fit.